Make the most of summer by pairing grilled seafood with fresh, in-season produce. It's a hot-cool combination you won't want to miss. 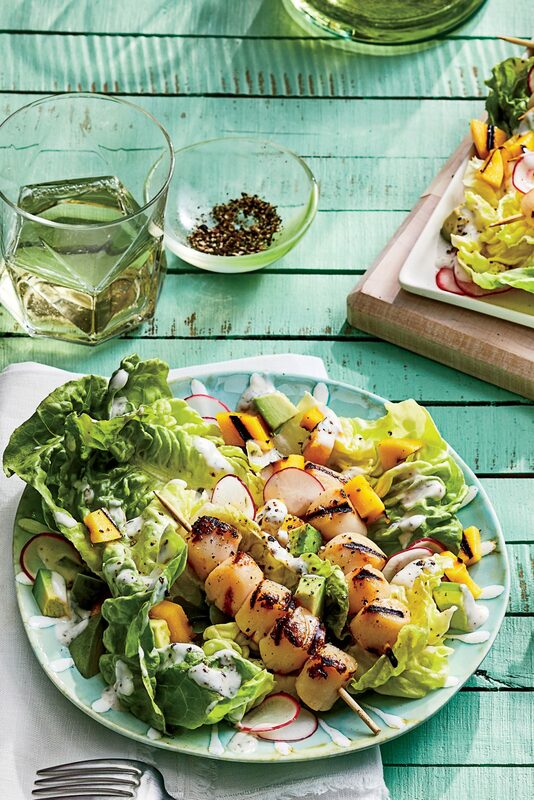 Try a new twist on the classic Caesar salad by topping leafy greens with flavorful grilled shrimp. 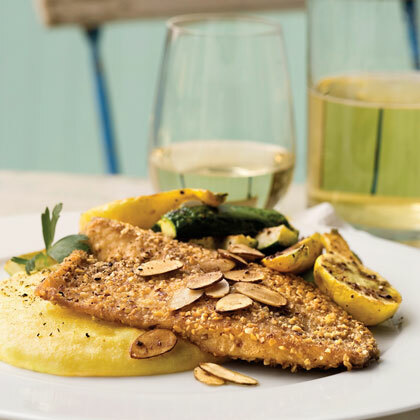 The single anchovy fillet lends umami depth to the dressing without giving it any sort of strong fishy flavor. Serve this party-worthy salad as soon as you make it--the tender mâche wilts fast. Big, meaty calamari steaks are sweet and mildly flavored, so they benefit from the bold, salty flavors of olives, anchovies, and capers. You'll find the steaks--we like those from large Humboldt squid--in the frozen seafood section of your grocery store. This seafood dish packs in a salty, citrusy flavor that is exquisitely complemented by hearty white beans and fresh herbs on top. We paired it with the Zocker 2014 Paragon Vineyard Grüner Veltliner. Quinoa, shrimp, and chickpeas pack a triple punch of protein in this healthy, flavorful weeknight dish. Look for beautiful and tasty heirloom tomatoes in a rainbow of colors at your local farmers' market, and keep them at room temperature until you're ready to slice and serve. Refrigerating will give them a mealy texture. Grill scallops and cucumber for tasty toppings on this summer salad. We've pumped up Grilled Shrimp and Spinach Salad with a colorful mix of sliced mangoes, fresh rapsberries, goat cheese, and of course, grilled shrimp. Calabrians keep their seafood salad simple so the shellfish flavor stands out. It's a juicy dish, so be sure to offer bread for dipping. A perfect summertime meal, this refreshing salad is topped with sweet citrus vinaigrette and a tender grilled salmon fillet. Mackerel has a firm texture and full-bodied flavor, making it a perfect candidate for the grill. 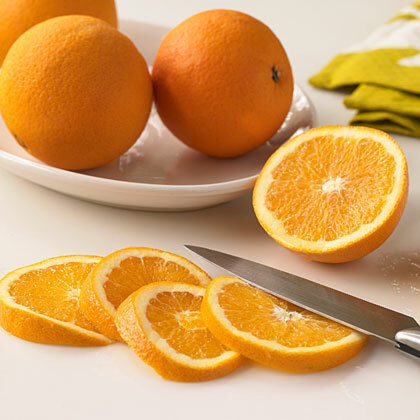 Serve over an easy salad of fresh herbs, orange sections, sweet onion and walnuts. This is no ordinary salad. Pairing sweet watermelon with earthy tomatoes and fresh grilled shrimp yields a flavor combination that will surprise and delight your taste buds. Try this dish once and you'll be hooked. Ripe plantains and mixed baby greens are paired with a flaky swordfish fillet. This impressive dish makes a satisfying grilled seafood meal for weeknight family dinners and company alike. Juicy grilled sea scallops crowned with caramelized onions and pine nuts top a bed of lemony spinach. Sautéeing the pine nuts with the chopped onions is an easy way to enhance their natural flavors. This French-inspired 20-minute salad employs several delicious tricks to speed up preparation. 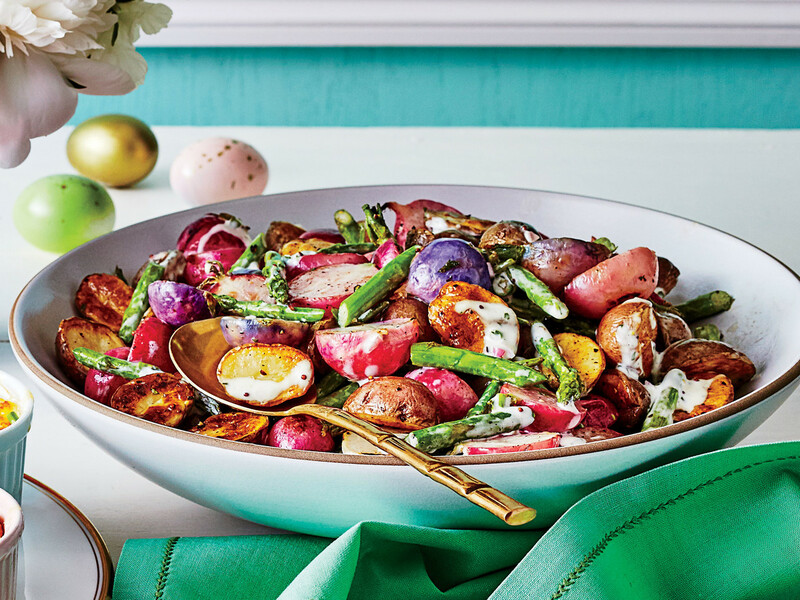 Use bottled Italian dressing for instant flavor, and microwave the potatoes and green beans for quick veggies that are bright, fresh, and crisp. If you're a fan of rare tuna, be sure to just lightly sear these steaks so they're still translucent in the middle. Once the steaks are sliced and fanned out, the tuna will shimmer with contrasting tones, resulting in an especially gorgeous presentation. What sets this salad apart is the contrast of mildly spiced salmon against creamy goat cheese–all dressed with a juicy tomato vinaigrette. For an easy dinner, make the vinaigrette a few hours in advance, and serve the dish with warmed corn tortillas. This twist on France's salade niçoise calls for shrimp instead of the traditional tuna. Featuring the best of summer produce, it's the perfect choice for a relaxed, warm-weather gathering on the patio. You may as well call this an "antioxidant salad," because in addition to bursting with summery colors and flavors, it's full of phytonutrient rich produce like raspberries, soybeans, and tomatoes. This vinegar-based slaw makes for a refreshingly crisp and tangy cabbage salad that pairs perfectly with a firm white fish. Serve it with warm corn tortillas and consider this a fish taco, deconstructed. Throw tuna steaks and sliced onions on the grill for this exceptional salad that will satisfy even the heartiest appetites. Be sure to use sweet onions for a mellow, smoky flavor. Chris Cosentino of Cockscomb restaurant in San Francisco is known for adventurous dishes like this one, a meet-up of mild grilled calamari (squid), fresh produce, and exciting seasonings. To make the dish as fiery as Cosentino likes it, use 2 tbsp. black pepper and 2 tsp. Aleppo pepper, and don't seed the serrano chile. We tested this recipe with peeled and deveined shrimp. Whether you have your fishmonger peel and devein them or if you do it yourself, you'll need to start with 1 pound of unpeeled shrimp. Kale Caesar Salad with Grilled Shrimp is just as tasty as it is nutritious. Healthy kale is combined with homemade Caesar dressing and fresh-off-the-grill shrimp for a hearty meal.